Are you serious about the Neo Geo? Like, really serious? Then you should check out Analogue Interactive, a company that makes console-sized Neo Geo MVS arcade systems that will run on your home entertainment center. And if you're really serious, check out their just-launched "Black Label" line, which incorporate exotic wood from all over the world. Sure, you can get a regular old model for $649, but why not get one made out of Leopardwood? Or Cocobolo? Check out the price list here. 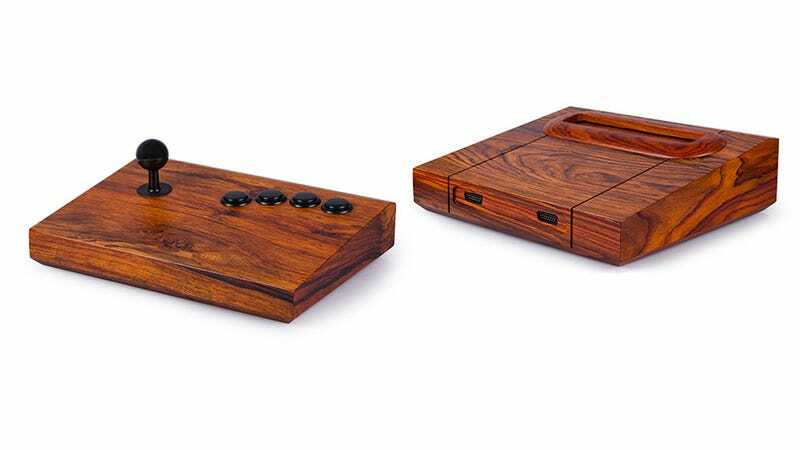 A standard Hickory or Cherry Neo Geo would run you $1,299, but if you want a more exotic type of wood, you'll have to pay an "exotic wood surcharge" on top of that. I've never paid an exotic wood surcharge, but I bet doing so would make me feel quite lordly.